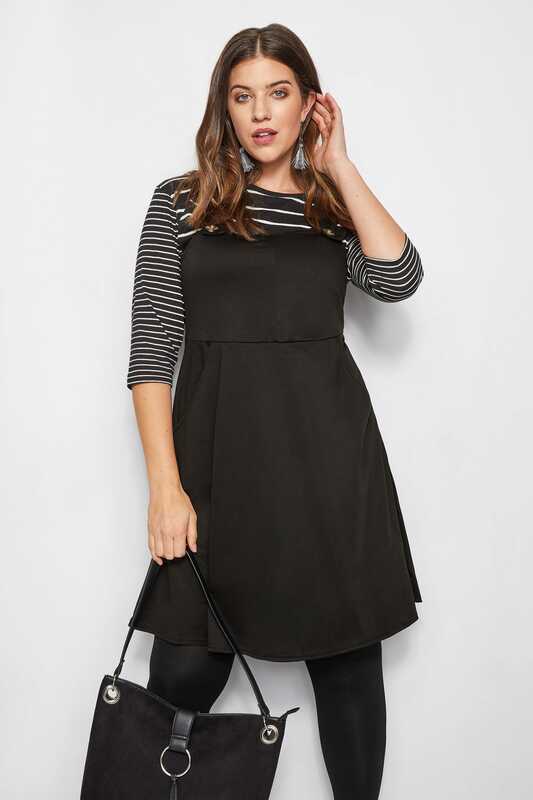 Add a versatile layer to your wardrobe with this black pinafore dress. 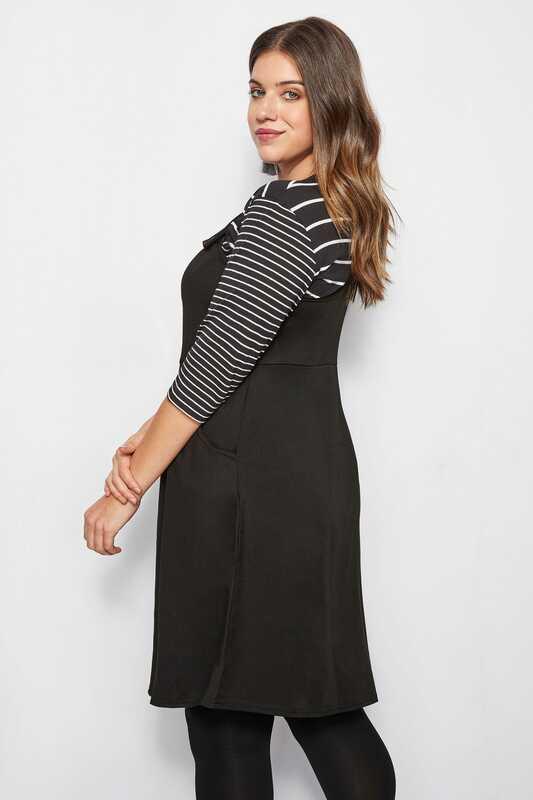 Classic in shape, it teams perfectly with a jersey tee and ankle boots on off duty days or with a pretty printed blouse for the office. It's your new week-to-weekend go-to!